In the early stages of the war, between a quarter to a third of recruits were rejected for service on account of dental defects. 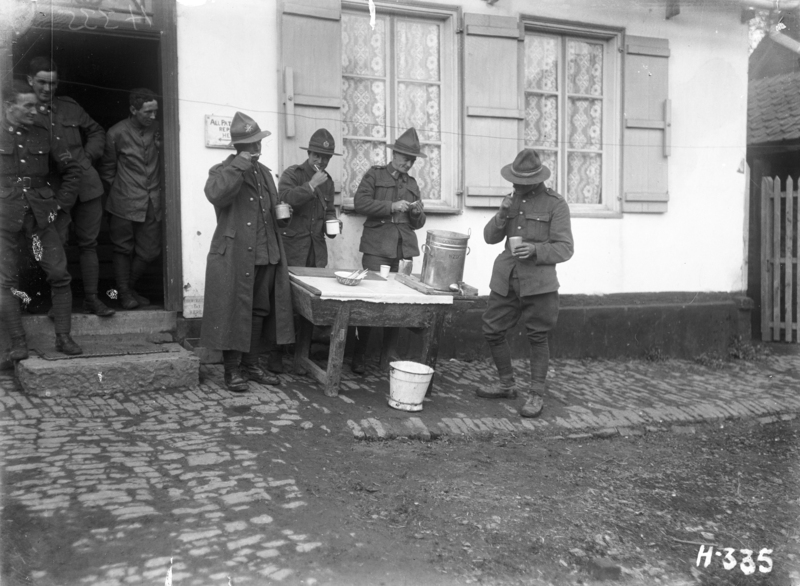 Museum and Heritage Studies student Rebecca Nuttall explores the history of the New Zealand Dental Corps in the First World War. Soldiers brush their teeth before visiting a dental surgery in France, 1917. Image courtesy of Alexander Turnbull Library, 1/2-012972-G.
A trip to the dentist may be the last thing anyone wants to sign up for today, but for many soldiers of the First World War it was a necessity. In the early stages of the war, between a quarter to a third of recruits were rejected for service on account of dental defects. 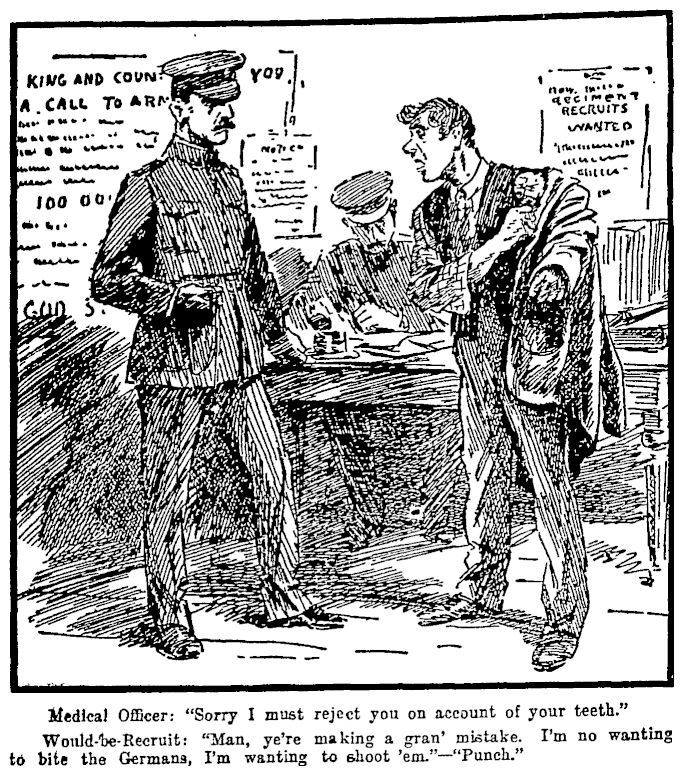 This cartoon, published in the Auckland Star on 14 November 1914, satirised the recruitment effort's high rate of rejection of men on account of their teeth. Image sourced on PapersPast. Once overseas the NZDC faced many challenges in transporting their heavy equipment and accommodating dental services so close to the front line. As mobile dental surgeries became increasingly necessary for the continuation of the war effort, the New Zealand dentists managed to downsize their equipment to the equivalent of just one pack mule load. 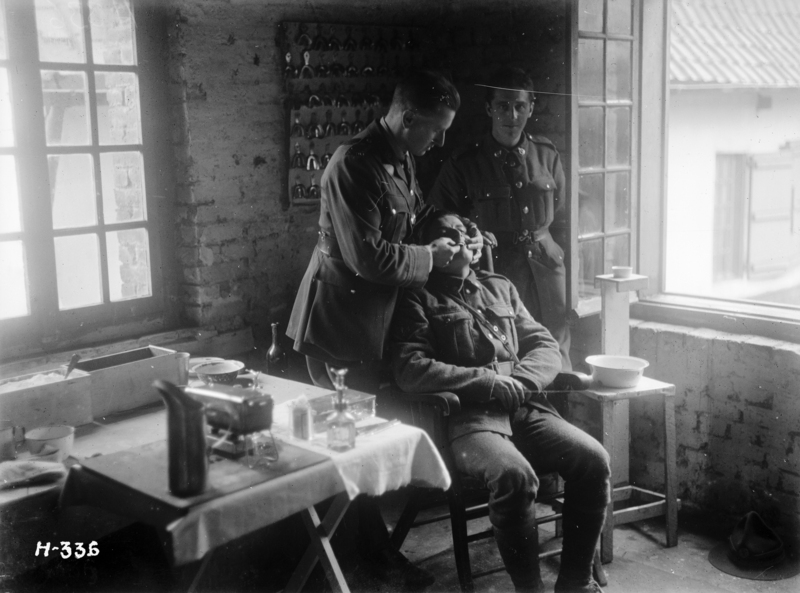 A New Zealand soldier undergoing a dental extraction at the New Zealand Dental Corps hospital in Nielles, France, during the First World War. Photograph taken November 1917 by Henry Armytage Sanders. Image courtesy of Alexander Turnbull Library, reference: 1/4-009512-G. In Egypt, dental officers extracted septic roots and decayed teeth, removed salivary stones and filled large cavities. The pestering flies, sandstorms and high temperatures of the desert created difficult work conditions for both operator and patient. A soldier, seated, has a set of new dentures fitted by a dentist attached to the New Zealand Dental Corps. Photograph taken in Nielles, France, November 1917 by Henry Armytage Sanders. 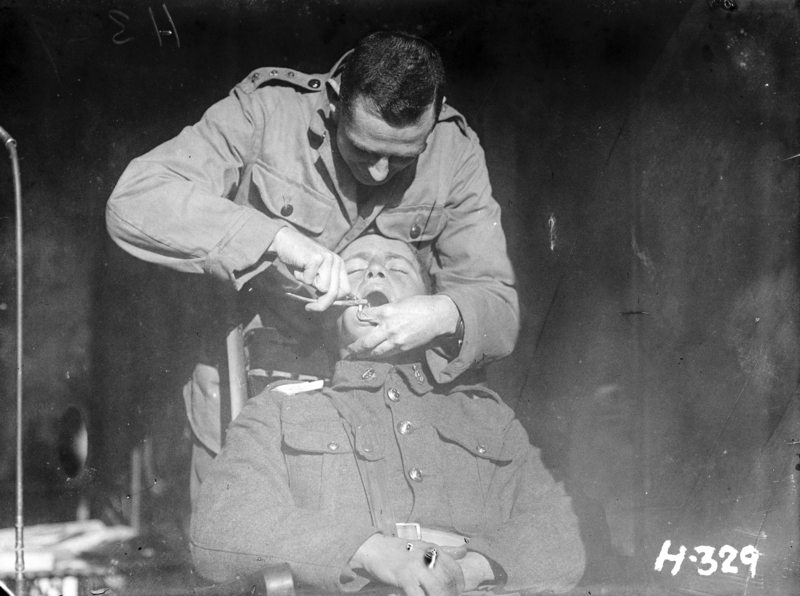 Image courtesy of Alexander Turnbull Library, reference: 1/2-012973-G.
Dentists were recognised as an integral part of the military operation and their hard work, despite the challenges faced, is an example of New Zealand’s commitment to the war. "The Prophylactic Bench" where New Zealand soldiers brush their teeth before visiting the dental surgeries. Photograph taken November 1917 by Henry Armytage Sanders. Image courtesy of Alexander Turnbull Library, reference: 1/2-012975-G.